Messaging service Line has launched Foodie, a free camera app for iOS and Android that aims to help you take better shots of your food. 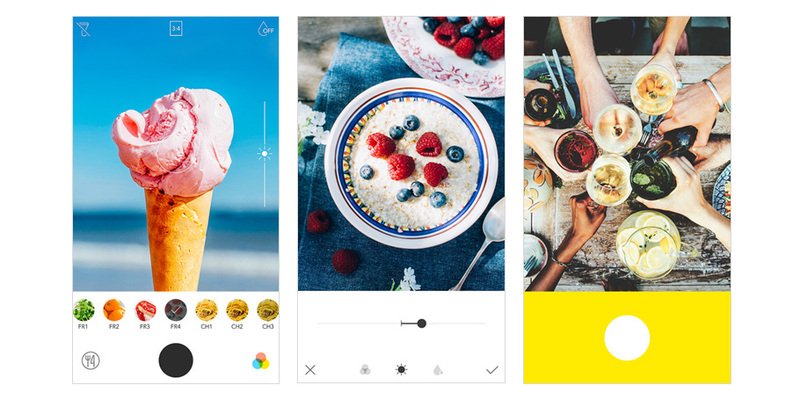 When you fire up Foodie, it looks just like any other basic camera app. But when you’re trying to get a flat lay shot of a dish from above, the shutter button changes from a small black circle to bright yellow bar to let you know your phone is positioned horizontally level over your subject. Foodie also lets you turn on your flashlight, adjust brightness or introduce a blur effect to mimic depth of field seen in DSLR shots. It comes with 24 filters that the company says are ‘optimized for food photography’, grouped into categories like ‘Fresh’, ‘Chewy’, ‘BBQ’ and ‘Sweet’. The flat lay feature is certainly useful for quickly snapping overhead shots of your meals, and you can turn on filters even before you shoot. However, Foodie doesn’t let you adjust the strength of each filter’s effects, which means they can make some shots look a little too processed. When you’re happy with your picture, you can share it on social networks or via messaging services. Foodie doesn’t have a separate community of its own. If you frequently shoot food photos and need a quick way to line up flat lay shots, Foodie is a handy tool to have on your home screen. It’s available for free on iOS and Android.